Travel : (P2) One of the best things about Thanksgiving is spending time with family. Many people live far from family members and travel long distances by car, train, or plane to be with their loved ones. Thanksgiving is the busiest travel day of the year! The Feast : (P3) Traditional foods are a large part of Thanksgiving celebrations. Many families include the entire family in the food preparation. 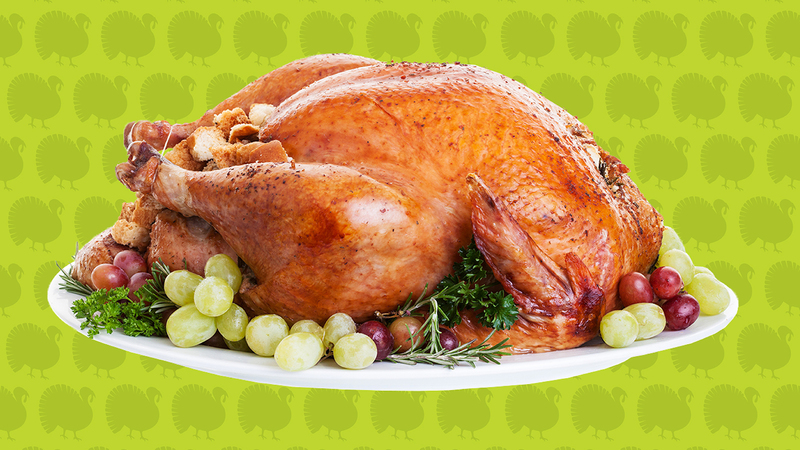 Traditional foods include turkey, stuffing, gravy, sweet potatoes, cornbread, mashed potatoes, and cranberry sauce. Many people serve pie for dessert at the end of the meal. Popular pie flavors are pumpkin, pecan, sweet potato, and apple. Vegetarian Foods : (P4) Some families choose to serve vegetarian Thanksgiving dinners instead of a stuffed turkey. Some people eat vegetarian turkey, which is made out of tofu. Others prefer to eat squash, salads, or other fruit and vegetable dishes. The Wishbone : (P5) Some families include breaking the turkey’s wishbone as part of their celebration. The wishbone is found attached to the breast meat in the turkey’s chest. After the meat has been removed and the wishbone has had a chance to become dry and brittle, two people each take one end of the bone, make a wish, and pull. Whoever ends up with the larger part of the bone gets their wish! The Turkey Pardon : (P6) Each year at Thanksgiving, the President of the United States receives a gift of a live turkey (along with an alternate in case something happens to the official turkey). At a White House ceremony, the president traditionally “pardons” the National Thanksgiving Turkey and the alternate turkeys, allowing them to live out the rest of their lives on a farm. Helping Others : (P7) Many generous folks use Thanksgiving as an opportunity to help the less fortunate. Some people volunteer to serve food at homeless shelters on Thanksgiving Day and others donate to shelters or participate in canned food drives. TV : (P8) Television also plays a part in Thanksgiving celebrations. Many families watch the New York City Macy’s Thanksgiving Day Parade. The parade includes marching bands, floats, songs and performances from Broadway musicals, and giant helium-filled balloons! People may also enjoy televised football games. After the Meal : (P9) After the feast families often do additional activities. Some like to take walks after eating such a large meal. Some people take naps. Others sit down together to play board or card games together. Why do the President of the United States ‘pardon’ a turkey? Is there an equivalent holiday to Thanksgiving in your country? What are some traditions you celebrate? Why do people call Thanksgiving “Turkey Day”? What are some traditional foods for Thanksgiving? What does “breaking the wishbone” mean? How does TV play a part in Thanksgiving celebrations?